Following on from the successful Inspector talk event. You will find a copy of Alisons Presntation here. Below is a feedback from for you to feedback your thoughts and feeling about the New Inspection model. We will pass on these thoughts to Alison and direct to the GPHC. 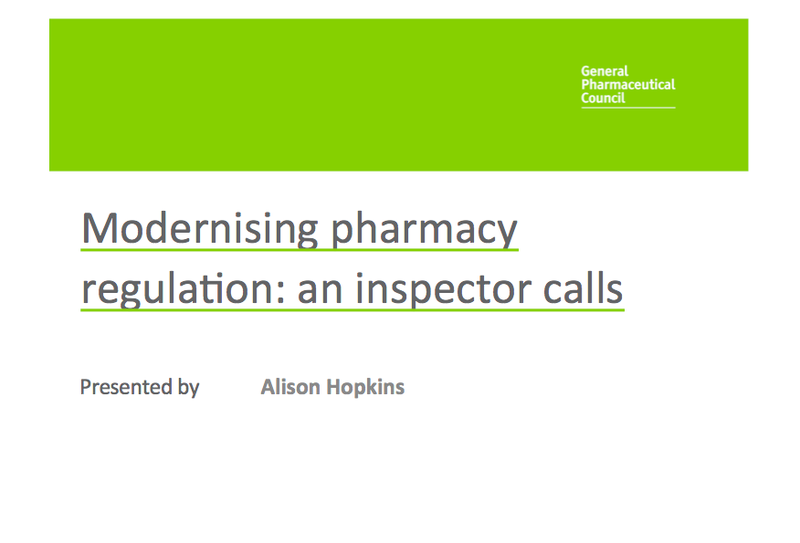 Don't forget that you can also feedback direct to the GPHC as a Pharmacist. The more the GPHC receive feedback the more they may be influenced during the prototype stage. We intend to feedback asap so would appreciate comments back by 25th April 2014.